The Neat Company has been providing technology solutions to small-business owners since 2002. We love small business and today proudly call over 100,000 small businesses our customers. Each year at Neat we celebrate Small Business Saturday as a way to help drive awareness of and engagement with small businesses nationwide. It gives us a chance to call out the remarkable success stories of so many of our customers. Small Business Saturday is a day dedicated to supporting small businesses and communities across the country. Founded by American Express in 2010, this day is celebrated each year on the Saturday after Thanksgiving. U.S. consumers are reported to have spent an estimated $85 Billion+* at independent retailers and restaurants over these eight Saturdays alone. In 2018, get out and support the places you love with the people you love on Nov 24. Shop Small is a nationwide movement that celebrates small businesses every day and helps communities thrive and stay vibrant. Small Business Saturday® — a special day when we can show support as a nation for small-business owners and communities — helps fuel the Shop Small Movement and is the cornerstone of American Express’ Shop Small efforts. There are a number of ways that any small business can participate in Shop Small. The website provides a studio with downloadable marketing materials that can be used online and in store. This initiative is about connecting with your community. Invite your customers to Shop Small® with you and help attract new customers. Your involvement makes a difference whether you’re rallying your community as a Neighborhood Champion, operating as a small business owner, or supporting your favorite spots as a shopper, there’s a place for you in the Shop Small Movement. Here are some Neat Customers that we want to recognize this year for making a difference in their communities. Sustainable and Ethical Lifestyle Retail Store for the Home and Body. Premium, well-designed apparel and natural bodycare products for men, women and children. Bhody is located in beautiful Santa Cruz, California. Click Here for location and more information. A mother-son venture, Pocket Change came to be five years ago. They specialize in fishing charters and tours in the Tampa area, offering 8, 6, and 4 hour trips, and a sunset cruise. The boat also caters to our veterans with a veterans’ discount program and full wheelchair access. The boat offers completely free trips to our disabled wheelchair veterans. They believe in giving back to their community — getting involved with Special Olympics and other organizations in their community. Their reward is seeing a disabled guest fishing when they never thought they’d have the opportunity to do so. We salute you Pocket Change! If you’re in Tampa and want to catch some fish, this is your boat. Learn More Here. They do embroidery and more. Texas Decorated Apparel has been in existence since 2008. They specialize in converting logos and designs into formats which can be embroidered, printed, pressed, and/or transferred onto shirts, hats, bags, jackets, uniforms, and various other garments and products using thread, ink, fabric, vinyl, and rhinestones. They also do letter jackets, chenille patches, greek paraphernalia, window decals, team uniforms, graphic design, and digitizing. Hats off to all of our small business customers, and thank you for being the engine that drives the world’s largest economy. 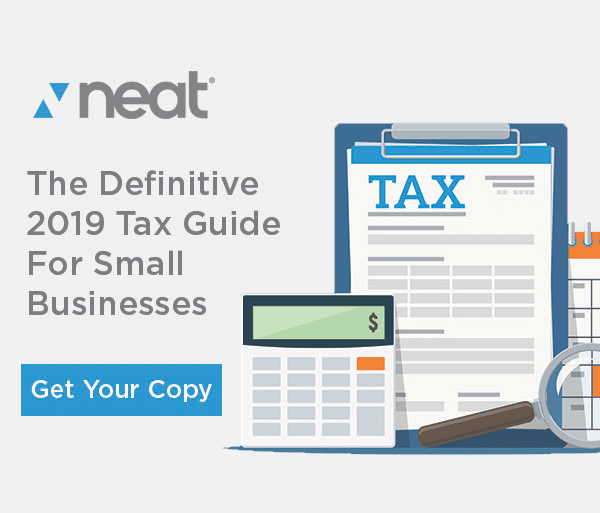 How Does Neat Helps Small Business? 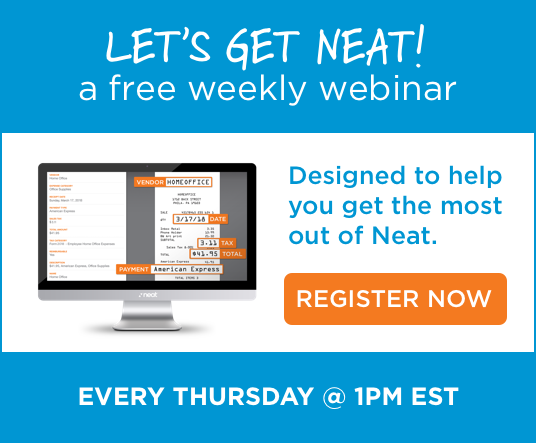 Neat’s software helps small businesses by eliminating bookkeeping and data-entry tasks. Our customers save up to 12 hours per week…time that they use to help grow their amazing ventures. We also facilitate expense and spend management while ensuring that your business taxes are done right and audit risk is mitigated.